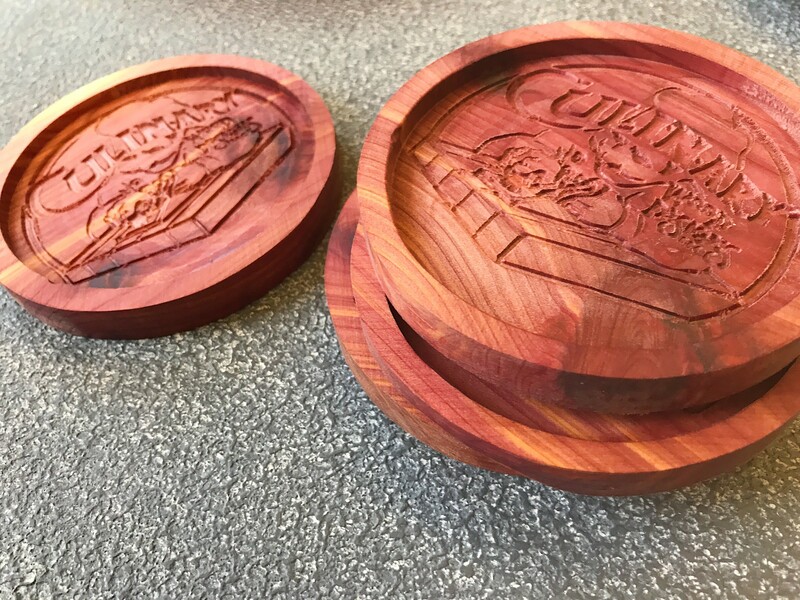 We sat down with Kieran Fahey, CEO and Founder of Culinary Wood Designs, to talk about the best applications for wooden products in a hospitality setting. What we learned might surprise you! Today, Culinary Wood Designs is our preferred source for custom wood projects. CWD produces everything: utensils, coasters, room service trays, beverage flight boards, etc. All of CWD’s materials are sourced from sustainable, local mills. Fahey’s workshop is located in upstate New York, where a large variety of healthy wood consistently grows. These trees produce a “tight grain” that is ideal for food service products. Q: What are the best types of wood to utilize for food service? Why? A: It depends –For cutting and serving boards, the food goes directly on the board. As a result, you want to use tight grain wood species: hard maple, cherry, walnut, and olive wood. The tighter the grain, the less opportunity there is for bacteria to hide in pores of the wood. 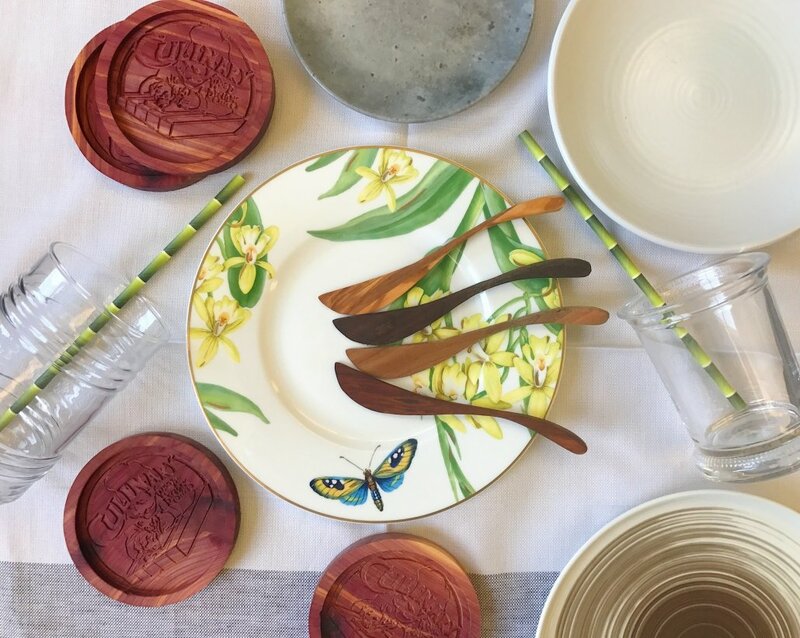 For wood products that hold ramekins, glasses, etc., there is more flexibility because the food and/or beverages isn’t in direct contact with the wood. Additionally, you can coat the wood with a stain and/or clear finish (polyurethane/lacquer) that seals up the pores of the wood. Q: What is the biggest wood related myth you hear? A: The biggest myth about wood pertains to using it in a food service environments—for example, cutting boards. There have been scientific studies documenting the merits of using wood instead of plastic. Surprisingly, the plastic surface actually supports bacteria growth and longevity. Whereas, in wood, the bacteria dies off quicker. With any surface, it’s important to remember proper cleaning and avoiding cross-contamination. It’s always your best laid plans. A: The number one mistake people make cleaning wood products is putting them in the dishwasher. The main reason you should never place a wooden board into your dishwasher is because the prolonged exposure to heat and water will cause your cutting board to warp and crack. The safe and proper way to clean a cutting board is to wash it like any regular dish. Use plenty of hot water—the hotter, the better—soap, and rigorous scrubbing. Put your elbow into it! If the board has been exposed to raw meat, the same technique applies; however, use a sanitizing solution of 1 part vinegar, 4 parts water and wipe the board down, then pat dry. Never let a wood board sit in water. One of the most important aspects of maintaining a wood cutting/serving board is to keep it properly oiled. By oiling your cutting board, you are extending the life of the wood because the oil prevents cracking and wood warping (also known as cupping). Fun fact: cupping/warping is often a result of a dried-out board that is suddenly exposed to water. The other reason to regularly oil your cutting board is for sanitation. A well-oiled board will resist foreign liquids, such as blood and associated bacteria from soaking into the wood. You should always use a food safe or food grade mineral oil and never vegetable oils, as it will spoil and cause your cutting board to stink. to see more of? What are you sick of? Be honest! A: We’re still seeing a lot of rustic, naturally shaped boards. It brings a certain old world charm to a dining room. Some describe it as “rustic elegance.” In general, I’d like to see more creative designs on things like table lanterns and condiment caddies. These products are currently so mainstream—they’re usually mass produced imports. There is such an untapped market for items like this. 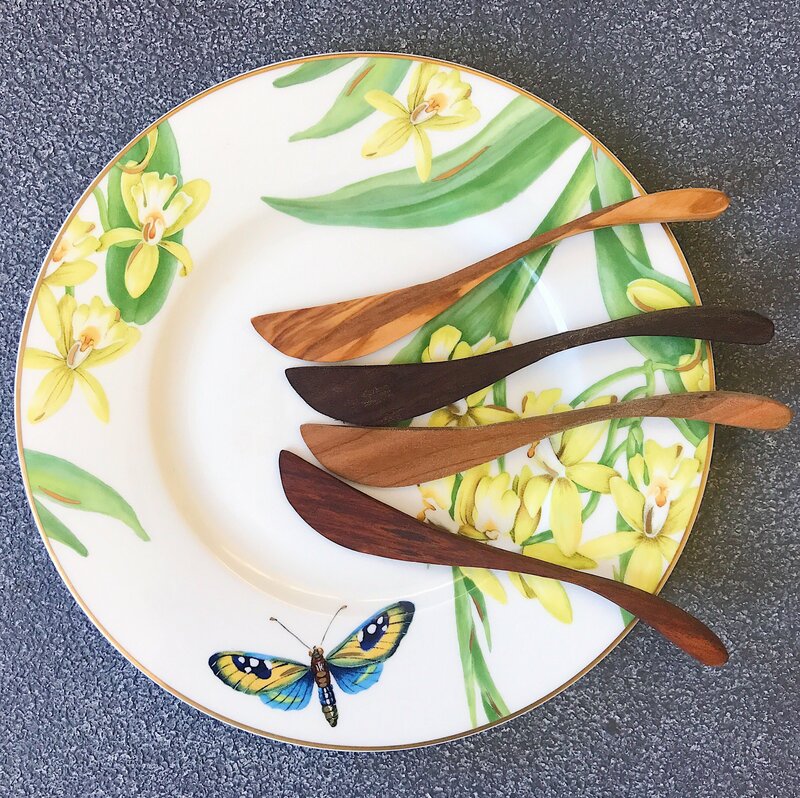 Culinary Wood Designs would love to break the mold; and introducing some cool and unique designs. Q: What is your dream project for food service? A: Honestly I don’t have a “dream project” in mind. I truly get personal and creative satisfaction out of each small project I take on. The biggest reward in my business is when I’m able to sketch a design on a cocktail napkin provided by a restaurant owner or manager, and come back to them with the actual item. They just smile. Let’s be honest, it doesn’t get any better than that!